Flagstone pavers are popular choices for walkways, driveways, and pool patios. Their gorgeous coloring and superior durability blend together to create hardscape solutions that deliver beauty and longevity. Color variations depend on the location of the quarry, and pricing is often influenced by this factor. Unless the pavers are protected through the sealing process, deterioration can occur more quickly than it would with normal wear and tear. Pealing or the separation of the upper layers of natural stone from the middle and bottom layers can occur. Holes and pitting also develop if the stones haven’t been sealed properly. Once your flagstone pavers are installed, they are ready for sealing. A natural sealer is a good option since it protects their natural qualities and allows the pavers to breathe while also protecting them against unnecessary damage. Ideally, flagstone should be sealed at least every four years. 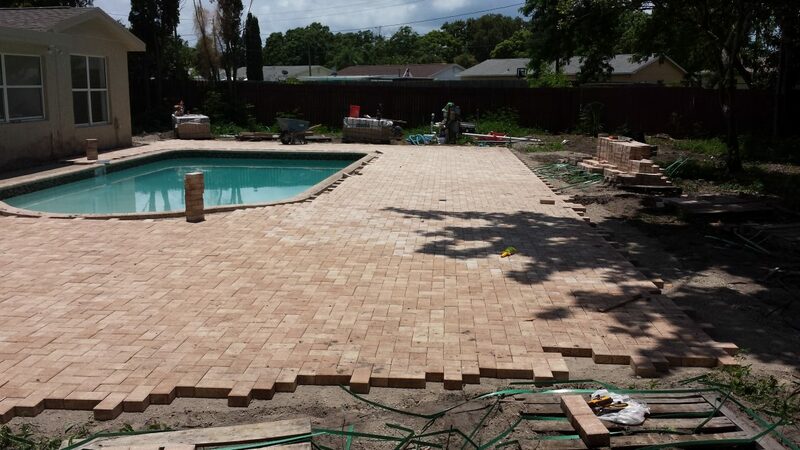 Due to the expense involved in building a paver driveway, walkway, or pool patio, it’s important to select paver installers with years of experience. Not only will they provide the installation, but they can offer guidance in protecting your paver project.